So, you wanna know what’s super awesome? Realizing that your RSS Feed has been broken for almost a month. Oh, and so is having your diaper-wearing, almost-two-year-old on antibiotics for the second time in two weeks. Makes for some incredible diaper-changing experiences – I haven’t had to wash this many clothes since he was a newborn. Eww. But, I’ll spare you the details. So, while you’re being completely grossed out and (hopefully) a little grateful that the last bit I mentioned is not your problem, the first part might be affecting you. I’ll explain briefly and then tell you how to fix it. I don’t have any idea why, but around the first week or so in December, my RSS feed stopped updating. I don’t recall making any changes to the feed itself or anything on my blog that would have broken the validity of the feed, but apparently something did. So, I spent a good chunk of time this morning fixing the issue. Like I mentioned, I don’t know what happened and I won’t bore you will all the things I tried; however, I think it’s been corrected. Unfortunately, I pretty much ended up having to delete everything and start over. 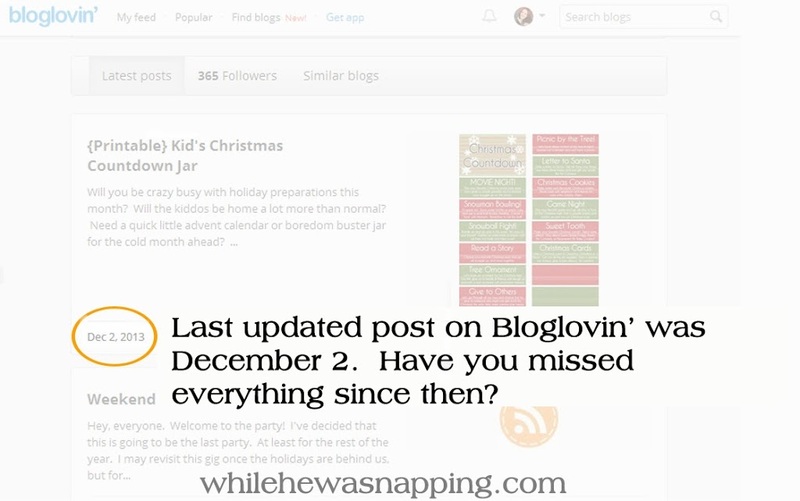 So, if you subscribed to While He Was Napping in any kind of reader or app on your mobile devices, you probably will have to go back and re-add this blog to receive any posts. Lame, I know. I’m sorry. I couldn’t figure out any way to seamlessly keep everyone subscribed and get the feed updated. All the buttons are on the sidebar for easy access though. 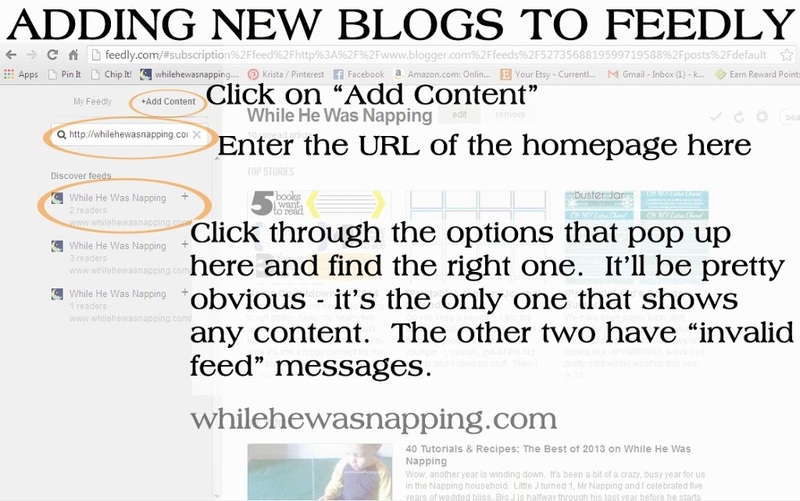 For readers such as Feedly, you’ll need to re-enter the URL of the homepage (http://whilehewasnapping.com) and select the option that shows a valid feed. 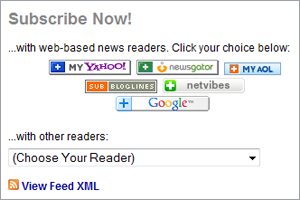 See the photo below for directions in Feedly if you need a little guidance. It’s the same steps as adding new content. The steps should be similar for other app readers.